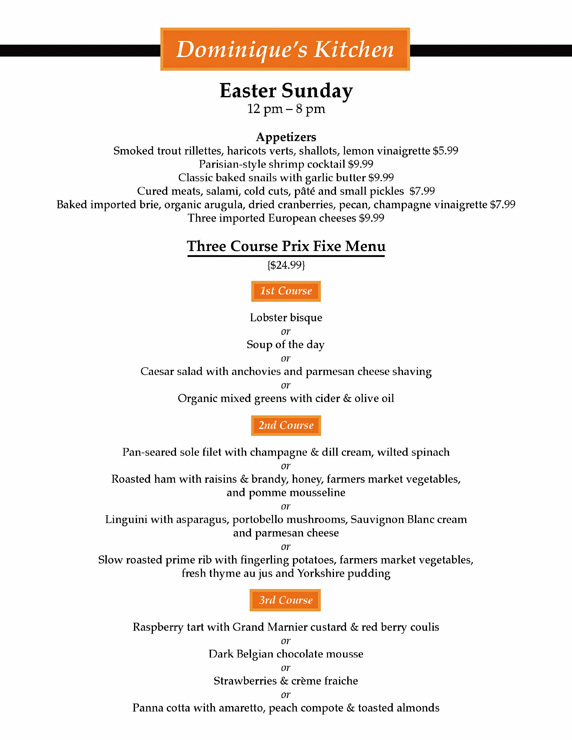 If you and the fam are still searching for where to dine this Easter Sunday, you may want to hop over to Dominique’s Kitchen in Redondo Beach for their three-course prix fixe menu for $24.99. Menu highlights include Pan-seared sole filet with champagne & dill cream with wilted spinach and Panna cotta with amaretto, peach compote & toasted almonds, YUM! Need more of a reason to visit? Chef Dominique Theval was just named as part of the inaugural Best Chefs America 2013! 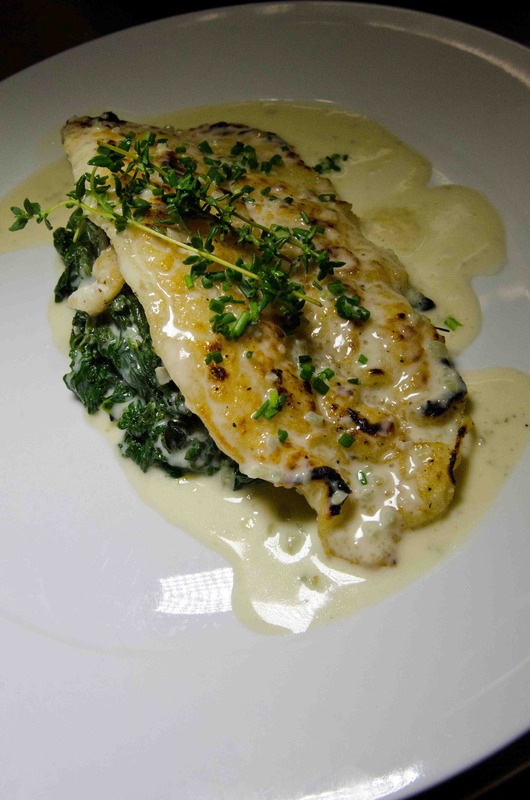 Pan-seared sole filet with champagne & dill cream, wilted spinach.